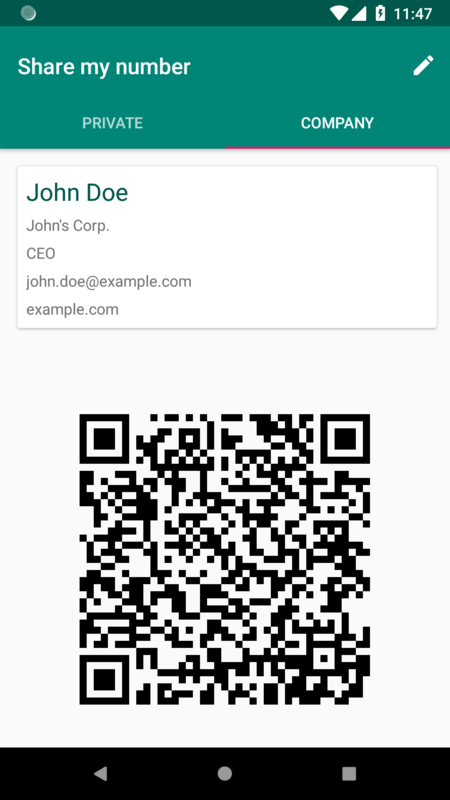 This app displays a business card and a QR code. 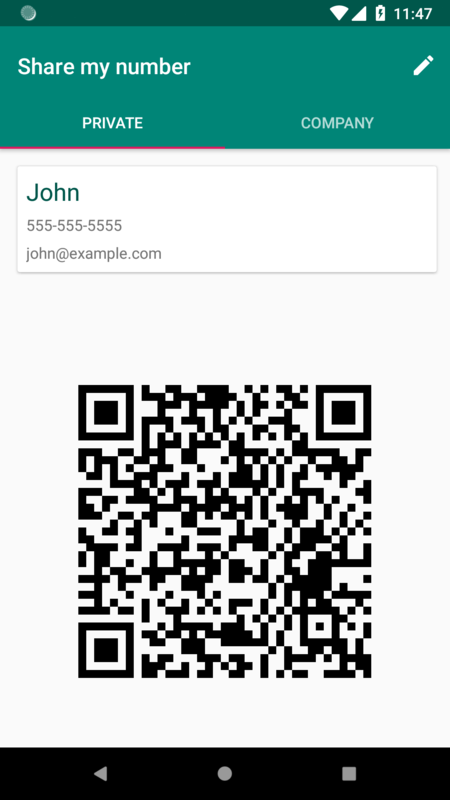 Other people can add your number to their contact app by scanning the QR code. 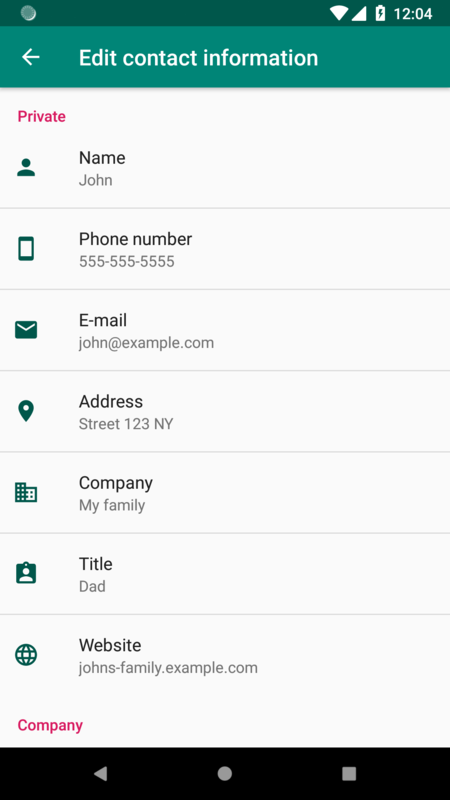 It's possible to configure three independent profiles: private, company and other. Feel free to change the names in the settings.